The team of three managed to complete all moving day tasks in just three hours as they promised. They were all hard-working, diligent young men who really cared about customer satisfaction. They were willing to accommodate all my additional requests as well. They helped me dismantle and reassemble my furniture. Also, good packing skills and quality packing materials kept my belongings safe during the move. I'm so happy that I made the right choice of movers. I couldn't have asked for a better service. Just keep up the good work, guys! A big thank you from a very grateful customer! Moving APT worked very hard in an incredible heat to complete my move according to plan. I couldn’t be happier with how they handled my move. My overall impression was that I received the service I was hoping for at a really good price. They arrived exactly on time and hauled and loaded all my items carefully. I didn’t notice any damage to my stuff. I will most definitely use their services in the future as they’ve earned my trust and respect. Our communication was smooth, they were willing to accommodate even additional requests from my end. Great job, guys! Moving apt movers were able to complete the move even sooner than expected. They managed to exceed my expectations in terms of quality of the service and professionalism. Doing business with them was a real pleasure, I’m so glad that I found someone I could rely on during my relocation. My experience with them was more than satisfactory. Their estimate was fair and honest. I got the service that I paid for, there were no additional fees or unexpected surprises during the move. With them in the picture my move seemed so nice and easy. Thank you so much for making my move a stress-free experience. I was very satisfied with the service Moving APT provided. Not only did they take care of the logistics of the move, but they also provided a temporary storage for my belongings. It was obvious that they were very skillful and experienced, because they managed to move everything quickly and without a single scratch. Each item was wrapped carefully and they treated me and my belongings with respect. I really appreciate their help. They made the entire transition a lot easier on me and my family. I will be happy to recommend them to everyone I know and to spread the word about my amazing moving experience. Moving APT replied almost immediately to my request and scheduled an onsite assessment of my belongings. They were very flexible and willing to work around my schedule and specific requirements. I got all relevant information and instructions and I’m glad they went above and beyond to accommodate all my needs. They politely answered all my questions and helped me understand the course of the upcoming move. They coordinated the move efficiently from start to finish and took great care of the logistics of the move. They are one of the most amazing companies I’ve ever worked with! Highly appreciated and recommended! We’ve used Moving APT movers twice now and we couldn’t be happier with the outcome of the move. The mere idea of moving again was very stressful and overwhelming for me and I knew that I needed a reliable support to survive that huge transition. The movers were very considerate and managed to work with my crazy schedule. It turned out that I needed to move twice within one week and I was freaking out. However, they managed to reduce the stress level significantly and to make the entire transition far more bearable. Thank you so much for making my life a lot easier! Dealing with Moving APT team was a real pleasure. They were very respectful of my time, managed to squeeze me in despite their very busy schedule. I arranged for a convenient moving date with them and what’s more, I got a very reasonable quote. A fair pricing along with a quality service is what it takes to perform a successful household move. And it turns out that Moving APR company has it all! They were a major support during my move. Fortunately, all my items reached the new location intact and some items were placed in storage. I couldn’t be more satisfied with their service! 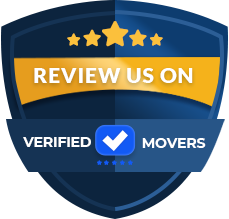 Aside from the fact that Moving APT's representative who visited me to estimate my belongings was a bit rude and uninterested, my experience with the movers was ok.
Movers who were hauling and loading my items were properly trained, prepared and friendly. I also received some helpful tips about how to store some temperature sensitive items and how to pack my hanging clothes. I even made some wardrobe boxes on my own thanks to their suggestions. My first impression was not that positive, but what matters most is that the overall experience was successful and I’m really happy about it. Overall, my experience with Moving APT was ok. I was referred to this company by a colleague who was satisfied with their services. The coordination of the move went smoothly, I agreed to a fair quote and what’s more, my movers offered to wrap and protect a couple of valuable paintings although I didn’t request packing services. I was amazed by their proactive attitude and willingness to offer further help. They are all young people who work very hard to deliver great results and take extra care of customer’s items. Great job, guys, just keep up the good work! My wife and I booked with this company after a few of our friends referred them to us. We were able to call in and receive a quote over the phone and provide a list of everything we wanted to move. They offered multiple options for packing which we were very happy about. Our last move, we decided to do everything on our own and rented a U-Haul which was a nightmare. We knew this time we had to hire professionals. The crew called us the day before the move was scheduled and asked if they could come a day early which we were able to accommodate. They even offered compensation for a hotel! The driver arrived with 4 other helpers who quickly packed and loaded our items in a few hours. They were experts at everything they did and skillfully packed the truck to ensure we were only paying for the space used. We were contacted throughout the transit of our items with frequent updates. The driver called us the day before delivery and again when he was 2 hours and 1 hour away from our drop off. The only issue we had was the fee for the 2nd drop off location which was not previously discussed. We did not know at the time of placing our move that we would need a few items dropped off at our storage facility which is why we did not put it on our original quote. However, the movers charged us the least amount possible and we understood the reasoning behind the fee. I would give these guys 4 out of 5 stars. My experience with Moving APT was more than satisfactory. They were swift and flexible with setting up an agent's visit for an estimate, and the agent was comprehensive in explaining the process for a long-distance move. Moving APT was attentive and accommodating to my scheduling needs over and above what I expected. The movers who picked up my belongings were extraordinarily efficient and graceful; they explained each step of the process and were courteous in answering all of my questions. They accommodated my hectic schedule and short notice request. They were so fast and took care of my belongings. I was very impressed with everyone I dealt with. I highly recommend Moving APT! 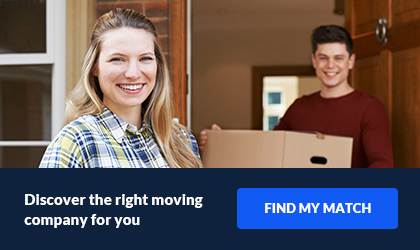 Moving APT is a moving broker in Miami, Florida. They have been in business since 1999, with over 15 years of experience. They ensure safety with every move. This company offers competitive prices to meet all moving budgets. If you are looking to know what you might be spending on your upcoming move, you can get an online quote. All online quotes are free and it will help you sort out the financial details of your move. Moving APT offers local, long distance, corporate and cross country moves. The also offer packing services. It is not always easy trying to pack your household goods while dealing with the stress of your move. If you need a full or partial packing, this company can help with that! All companies that they work with are fully licensed, bonded and insured. They only use the best companies in all areas. 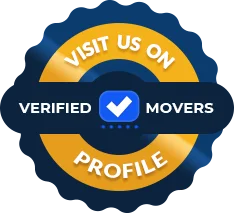 Whether you are moving locally, or across the United States, they will set you up with the greatest movers. There is no need to worry about your items. They will get to you safe and sound, with no issues. Moving APT has high ratings from customers. They do not want you to settle for anything less than what they can offer.